Innovatively routed on hilly, roller coaster-like terrain, this Arnold Palmer designed 6,916 yard, par 72 Legacy Course boasts dramatic elevation changes - up to 50 feet in some places - creating a unique variety of risk/reward golf shots. 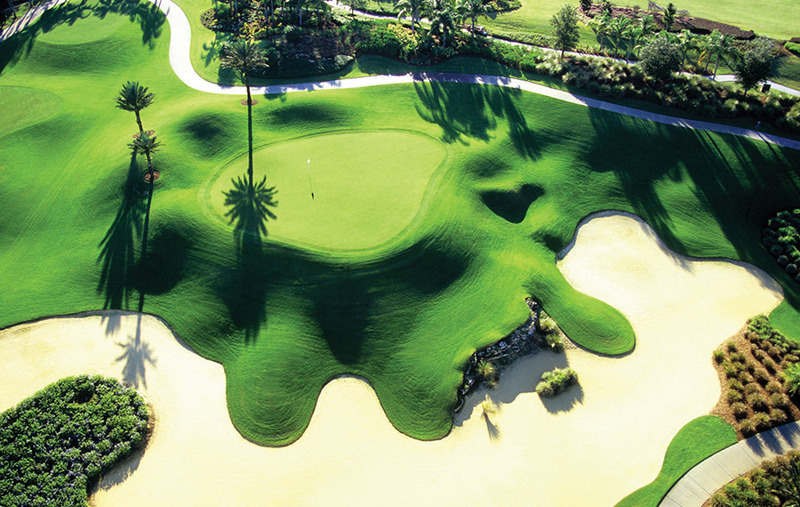 That varied menu of shot-making opportunities is further ensured by six tee locations on each hole, a variety of natural preserve areas, generously wide fairways and strategically placed bunkers across all eighteen holes. You must stay at Reunion Resort to play The Legacy course.